There are many animal species that make long-distance movements throughout their life. Especially larger vertebrates sometimes travel tens, hundreds or even over a thousand kilometres. Often, this long-distance travel helps these individuals to find a new territory to settle and start a new family. Hereby, nature also created a continuous flow of genes across different regions. For every species it is very important to have this gene flow, to avoid inbreeding. But over the last decades, long-distance travelling became more difficult. Human activities and infrastructure lead to barriers and habitat fragmentation, preventing long-distance travels. And for those individuals that do manage to travel long distances, the risk of getting killed by traffic accidents or hunters increases. 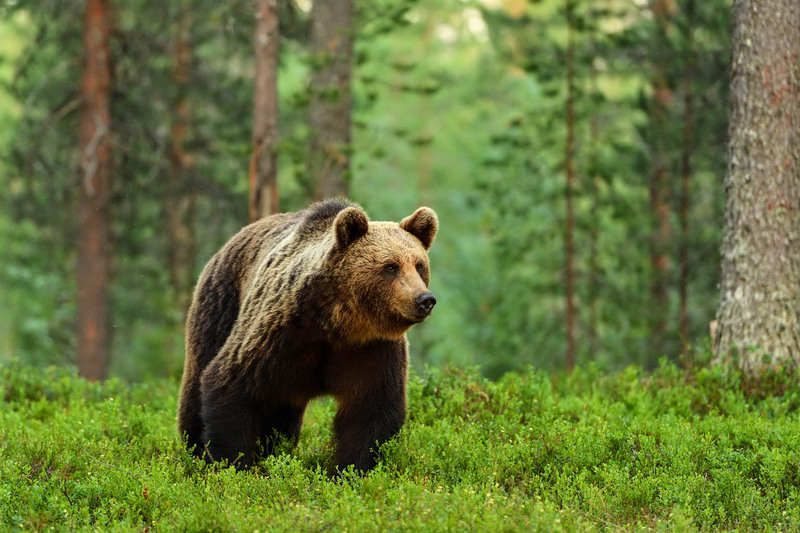 In the newly published study from Barton et al., the researchers tracked brown bears with GPS collars, originating from the Tatra Mountains. One young bear traveled across Slovakia into Hungary. However, the bear returned to Slovakia, moved north to Poland and finally found its way into Ukraine. Older bears travelled less distance, but human border crossing occurred in many cases. The tendency that younger animals travel more than older animals is not unique to bears. Young wolves, often just a year or 2 old, also start to wander in search for their own territory. Some of the most well-known examples are Slavc, and a wolf that came from Western Italy to Vienna. Another thing these long-distance travellers have in common, is that many do not survive the travel. Death by humans is still the number one cause of death for all large carnivores. Collisions with traffic, and both hunting and poaching, lead to the death of one in two travellers, experts estimate. There is a major responsibility that rests upon our shoulders. While researchers, Protected Areas, and NGOs dedicate a lot of effort to conserve endangered populations of large carnivores, we limit their chance to move. As if humans decide where a wild animal has to live. Together, we should focus on reducing the habitat fragmentation and intensify international cooperations. Gaining and sharing knowledge on the long-distance movements, helps us to identify crucial locations to improve. The next would be to remove barriers and fences as best as possible. And in order to increase and maintain acceptance among people, efficient management of damages must be incorporated in (inter)national management plans.